The Olympic Peninsula Wineries invite you to wind your way through beautiful fields of lavender en route to tasting the region’s best handcrafted wines during our nine-day Lavender Wine Tour, from Saturday, July 11 to Sunday, July 19. The wine tour kicks-off the Olympic Peninsula’s 13th annual Lavender Festival in Sequim, set to take place July 17-19. The festival is the largest lavender event in North America, attracting visitors from around the world each year. Olympic Peninsula Wineries will be featured in the Wine & Beer Garden during the Festival Street Fair, with wines available for tasting and for purchase by the glass or by the bottle. The Street Fair will take place in downtown Sequim, on Fir Street between Sequim and Third Avenues. Those with time to drive the self-guided Lavender Wine Tour will enjoy wine paired with lavender in a variety of ways. Tickets” for the Lavender Wine Tour are available online or at any of our wineries for $25.00, and entitle the holder to a special commemorative wine glass and complimentary tastings at all six wineries. Visitors without tickets are welcome to taste at each winery for a small per person fee. 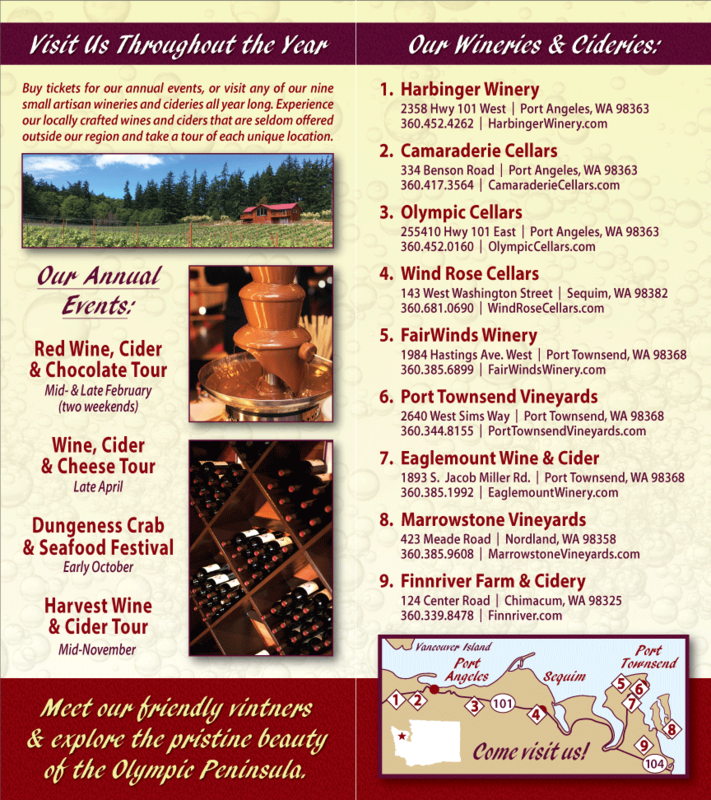 For further information, visit www.olympicpeninsulawineries.org and click on Events or call 800-785-5495.